Brad's Roofing can accommodate most requests for a new or upgraded roof for your residence or place of business. 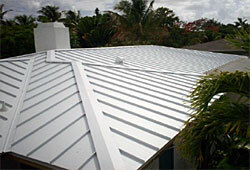 We can install Metals Roofs, Shingle Roofs, Tile Roofs, Flat Roofs and Pitch Roofs among others. The first step in any new roof project is for us to get an idea of what you are looking for and then inspect the location. We can then prepare a quote as appropriate. 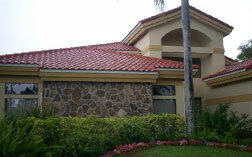 Call us at 561-274-3920 today to get your new roof installed. This job was to remove an older Tile roof and then install a 1.5 inch Standing Seam white roof. This new tile roof will provide the home owner with many years of protection.